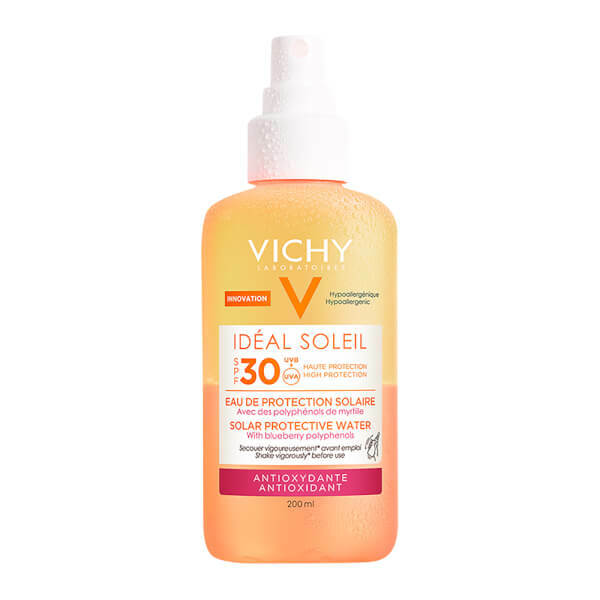 Discover the benefits of Vichy Idéal Soleil Antioxidant Water SPF 30; an ultra-lightweight, quick-absorbing spray with a non-sticky finish that won't stain clothes. 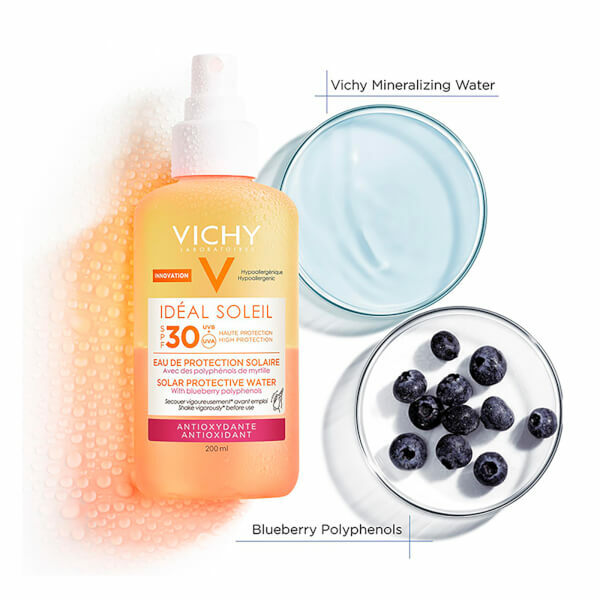 Fortified with Blueberry Polyphenols and Vichy Mineralizing Water, the solar water sunscreen offers broad spectrum UVA and UVB protection to shield skin from the sun's harmful rays. 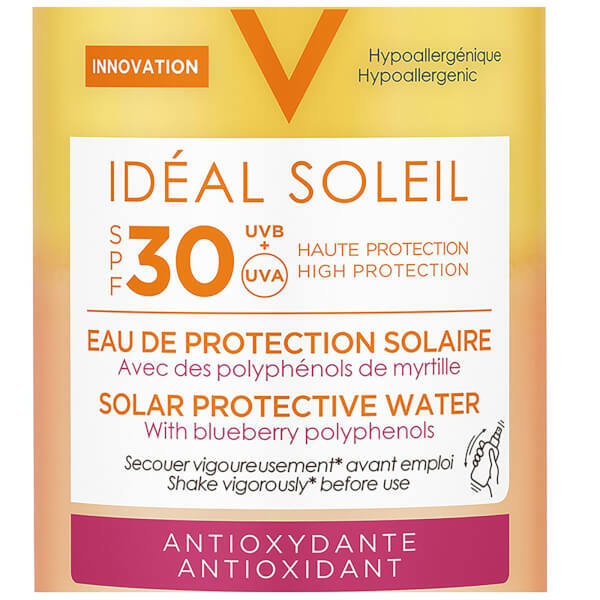 Can be used on the face and body to hydrate and protect with a comfortable feel on the skin. Suitable even for sensitive skin. Shake vigorously before use. Apply liberally to face and body before going in the sun. 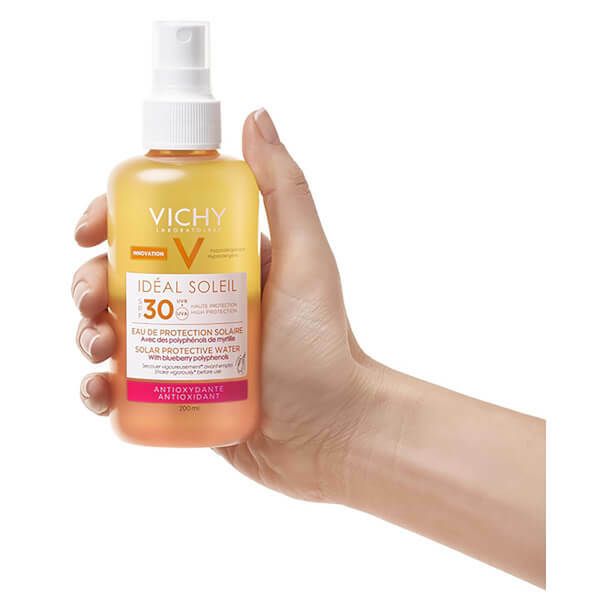 Reapply regularly throughout the day, especially after swimming and exercise. Suitable for daily use.